This Ramadan is a historic one, celebrating the triumph of the political vision of Egypt's legendary Muslim Brotherhood (MB): to take inspiration from the Quran to regenerate Egyptian society. Gamal Abdel-Nasser's socialist vision lies in ruins, dismantled in the 40 years since his death, replaced by a neoliberal nightmare dreamed up in American thinktanks. The vision will not be realised by sticking to the political and economic policies of the past 40 years, policies which turned Egypt into a poor imitation of Western societies, with shocking disparities of income and extreme poverty, environmental degradation and human degradation. Egypt was shattered into fragments -- gated communities for the super-rich, sprawling slums for the poor, traffic-choked streets for everyone, crowded jail cells for thousands of innocent, devout people caught in the treadmill of a justice system that produced little justice. The West's vision once again brought Egypt to the point where the quip by Muhammad Abduh, chief mufti of Al-Azhar 1899--1905, rings all too true: "I went to the West and saw Islam, but no Muslims; I got back to the East and saw Muslims, but not Islam." 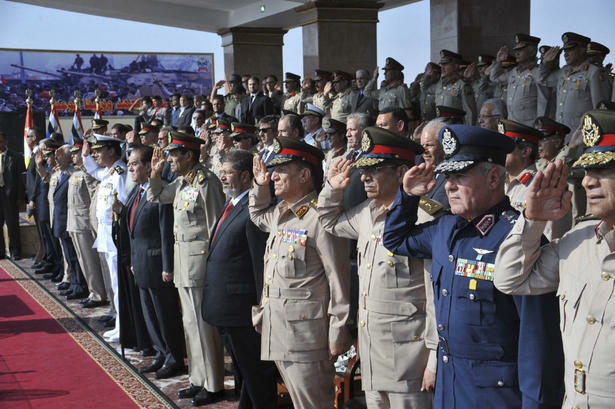 The task before the Freedom and Justice Party (FJP) and the Islamist president is daunting beyond description. He begins office in a political and economic straightjacket bequeathed to him by interim prime minister Kamal Al-Ghanzuri and acting head of state Field Marshall Mohamed Tantawi -- a budget already approved by the Supreme Council of the Armed Forces, without a parliament, with the military supreme council holding almost all the cards. 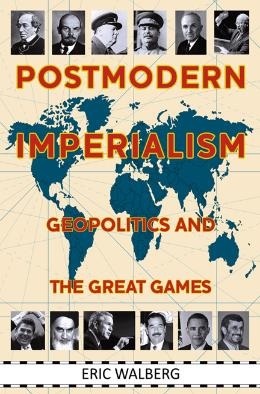 The trouble is, the West arrogantly demands that countries such as Egypt adapt to the Western version of modernity -- the neocolonial order based on the US dollar, dominated by large Western corporations and a bristling military on hair-trigger alert around the world. It is okay for the US to run huge trade and budget deficits decade after decade, squandering its dollars on war, while forcing poor countries to "tighten their belts" when the mysterious flows of "capital" and the vagaries of the market result in even one year in the red. But this modernity, with its manifest injustices, is not the only one, and it is certainly not moral, as Egyptians have learned the hard way. Tariq Ramadan is a Swiss-Egyptian academic, whose father was a prominent MB member exiled by Nasser and whose mother was MB founder Hassan Al-Banna's eldest daughter. 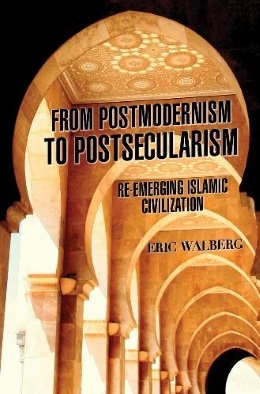 He has written about Islamic reform from a European Muslim's point of view, rejecting the assimilationist position that Islam must adapt to modernity. "The Western equation secularisation = freedom = religious pluralism = democracy has no equivalent in Muslim-majority societies where, through the historical experiences of the past century, the equation would rather sound like secularisation = colonialism = de-Islamisation = dictatorship." He sees the very heterogeneous Western Muslims as playing a key role in developing a new approach to their religion, taking advantage of the West's high level of education to promote ijtihad -- independent reasoning based on a thorough knowledge of the Quran and hadiths -- to adapt to modern life. For instance, to bring zakat up to date, "establishing a real system of collective solidarity and social security, woven into the very fabric of society, that aims at freeing the poor from their dependence so that eventually they themselves will pay zakat,” as he wrote in Western Muslims and the Future of Islam (2004). Already, Western Muslims have decided that a very restricted use of interest -- for mortgages on private homes -- is acceptable, "a need which ... becomes a constraining necessity", according to a fatwa issued by the European Council for Research and Fatwas (ECRF) and the League of Scholars of Sharia in the US, using Abu Hanifa’s terminology. Interest is allowed for Muslims living in the non-Muslim societies in dealings with non-Muslims, but only when used to protect the property of Muslims. But tweaking the old laws to meet dire needs today is not enough for Tariq Ramadan. He calls for alternatives to Western banking for the Muslims community in Europe and America, based on banks sharing lenders’ risks – the intent of the prohibition of interest in the Quran -- so that they become an integral part of people’s economic concerns, not just parasites taking their "pound of flesh". The 8th--10th cc categories of dar al-islam (abode of peace), dar al-harb (abode of war), dar al-ahd (abode of treaty), and dar al-kufr (abode of unbelief, referring to Muhammad's early Mecca period) -- which do not occur in the Quran but only in the much later hadiths but are now integral to Islamic law -- must be redefined. 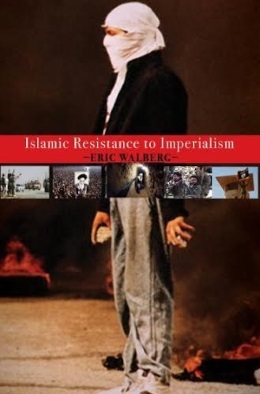 Formally an abode of war, the West, with its guaranteed civil rights, ironically allows more religious freedom these days than many oppressive, nominally Muslim states (pre-revolution Egypt being a prime example), where Muslims are in danger and unable to practice their beliefs freely. This movement was developed by the 12th century Islamic scholar Muhammad Al-Ghazali (d. 1111), who established the Quran's goals as the preservation of religion, life, lineage, intellect and property. As part of the renewal of Islamic legal theory, scholars such as Tunisian Muhammad Al-Tahir Ibn Ashur (d. 1973) and Ramadan have shown a renewed interest in the maqasid in relation to maslahah (public interest). As opposed to reading verses of the Quran in isolation, this approach requires a comprehensive reading of the text as an integrated whole in order to identify the higher objectives and then interpreting particular verses on a given topic according to the maqasid's intent. Sardar's Reading the Qur'an: The Contemporary Relevance of the Sacred Text of Islam (2011) put flesh on this theoretical skeleton with his careful analysis of Al-Baqara (the basis of much of Islamic legal theory) and other suras, distinguishing between the circumstantial and the general principles which the Quran reveals. For instance, the discourse on murder (2:178) reveals two of the most important principles of Islamic law. Murder is one of the worst sins, but there are boundaries (hudud) within which justice is to be sought: the extreme punishment is “just retribution” (qisas), but there is also compensation and even forgiveness. The "law of equity" is the Quran's primary principle, revealed here: the law must be applied equally to all -- man or woman, free or not. This passage also reveals another important principle: punishment must be proportionate to the crime. Yet another principle revealed is that compassion and forgiveness are always preferable to harsh physical punishment. Human life is sacrosanct, as eloquently revealed in Al-Maidah: "If anyone kills a person unless in retribution for murder or spreading corruption in the land -- it is as if he kills all humanity." (5:32) Capital punishment is a last resort in exceptional cases. The murder passage also shows how Islam inevitably deals with economics, which, whether we like it or not, are infused with moral issues. The murder of a family's breadwinner is not only a family tragedy, but a severe economic blow. Compensation is in this situation could well be preferable to lopping off the offender's head. Following the discourse on murder, the next passage in Al-Baqara abruptly switches to deal with inheritance and charity. Sardar argues this abrupt change of topic is not in fact so abrupt, that the two topics are very much related, linked via economics. Just punishment leads to a discourse on just distribution -- of inheritance (for the family) and charity (for society as a whole). He points out two more principles implicit here: women have a right to inheritance and by corollary property (a radical proposition in seventh century Arabia), and individual rights must be considered in a social context, adjusted to guard against need. Islam inevitably deals with politics, too. That Islam is a religion of peace has been amply demonstrated by the MB's patient endurance of injustice over the years, which has finally borne fruit. Their participation through the FJP in the legislative and presidential elections, gaining their mandate from the people in democratic elections, is also in accord with the revelations of the Quran about governance. "God grants rule to whomsoever He wills" (2:247), but "Put your trust in those who are worthy of such trust." (4:58) Rulers must govern via shura (consultation), which means the people must not just passively follow their leaders, but active understanding and holding leaders to account. At the same time, "The head of state is not a deputy of God; he cannot be, as he does not have the attributes of God. Rather, he is a representative of the people who have chosen him; and like everyone else he is responsible to God for his actions, including the exercise of authority," argues Sardar. And "while some aspects of a country's law may be based on, or draw from Divine injunctions, not all law is Divine... The Prophet did not declare that the Quran was his constitution, but framed the Constitution of Medina through a process of consultation, involving negotiations, contested arguments and the inclusion of both Muslims and non-Muslims." And don't expect another prophet. In other words, it’s up to us from now on to take responsibility for resolving our moral and ethical dilemmas, both as individuals and as a society. No need to return to a seventh century lifestyle, but we can use the Quran not so much as a constitution, but as the inspiration for a present day constitution imbued with Quranic moral principles. As the Justice and Development Party showed in Turkey, it is possible to work within the rules that the imperialists have set up and still make a go of it. These two British writers, Ramadan and Sardar, might both be thinking: True, the British didn't really encourage too much education of the masses in either Egypt or India, and they nurtured sectarianism and other evils, but it’s time to move on. Let's thank them for waking us Muslims up to the challenges of the modern world, and at least leaving us with an electoral system and a functioning economy. And don't just sit back and wait for heaven on earth. "God does not change the condition of a people unless they first change their conditions themselves." (13:11) Each generation must draw lessons from history and move forward by adjusting to change. 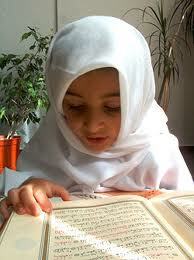 Morality doesn't end with the Quran; rather, it begins with the Quran. We must not just think in terms of adapting ourselves to an inherently unjust world order, but to transform it. We must read the Quran, insists Sardar, as a "way to think and learn about how to make peace, justice and equity triumphant".